Encouraging early music-making helps children develop a sense of accomplishment. 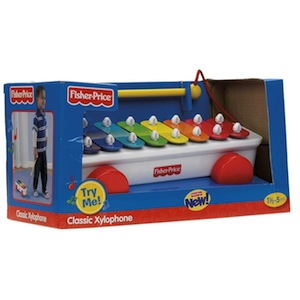 And the xylophone is an easy way to do just that! The mallet is attached, so it never gets lost. And it's on wheels, so kids can pull it along wherever they go! Ages 1 and a half to 5 years old.